We're delighted to announce that we have appointed a new chief executive: Matt Leach will be joining us in early 2017. Below we also share details of our learning and networking events for locally trusted organisations and Big Local partnerships, taking place in London and Sheffield. Don't miss out - book now! Interested in ways to get more people involved in Big Local in your area? 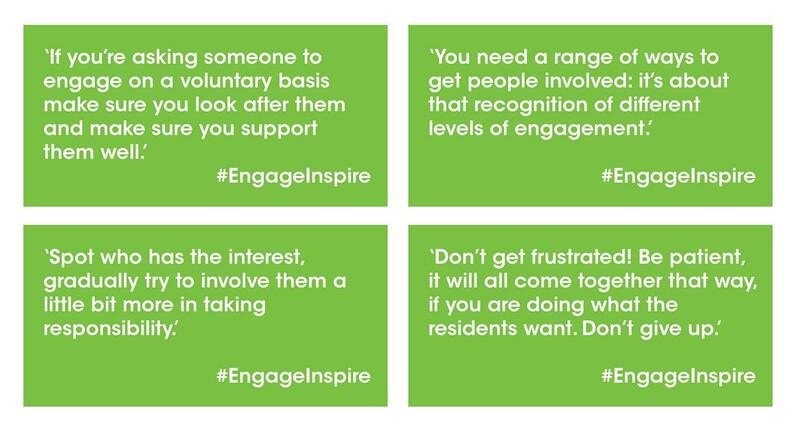 Our recent #EngageInspire campaign shared practical ideas and research from NCVO that could help you engage more people in your community. If you'd like to find out more, this Storify summary of our #EngageInspire Twitter chat is a great place to start. Looking beyond Big Local, Local Trust is launching a research project that will scope the future of community development. We are currently seeking expressions of interest from people who would like to be on the project steering group - deadline 31 October. Do take a look yourself and pass this on to anyone you think would be interested. The board of Local Trust has appointed Matt Leach as its new chief executive, a role he will take up in early 2017. 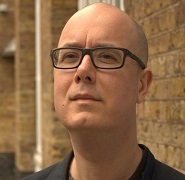 Matt is currently CEO of HACT, the social housing sector’s ideas and innovation agency. Kevin Sugrue, chair of the Local Trust board said: 'We are delighted to welcome Matt to Local Trust. He arrives at a key time as interest in resident-led solutions is gaining momentum on most policy makers’ agendas, and communities are seeking to harness local talent, connections and creativity to address local challenges.' Read more. These events are an opportunity for locally trusted organisations and partnerships in Big Local areas to come together to network, share learning and experiences, and receive support and guidance. We're running these events in two locations, with a choice of workshops so that you can tailor the day to suit your needs and interests. Workshops include: good financial management, managing workers, facilitating meetings, and more. London event: Friday 25 November, click for full details. Sheffield event: Wednesday 7 December, click for full details. You can sometimes hear residents involved in Big Local say – we’re doing great but we’d love to get more people involved! So in our recent #EngageInspire week, we published NCVO's research on community engagement in Big Local, and asked Big Local areas on social media for their experiences and tips. For anyone who wants to reach out across their community, here are the top five learning points from NCVO's research, highlights from our #EngageInspire Twitter chat, and an amazing case study from SO18 Big Local about how they've used events to find and nurture volunteers. You might also be interested in this blog on the most successful ways that Big Local areas are using social media. Our major new research project will capture the contemporary value of community development and scope its future. The project theme is ‘Empowered communities in the 2020s: shaping the future of community development’, and you can view the project plan and information about the steering group here. This exciting opportunity, funded by the Community Development Foundation and the Joseph Rowntree Foundation, has already generated substantial interest and we look forward to involving a wide range of stakeholders with the work over the coming months. If you are interested in being on the steering group for the project, please complete the expression of interest questionnaire before 10.00am on Monday 31 October. 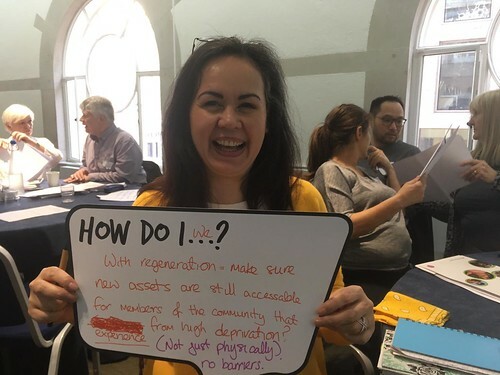 Getting involved in Big Local can have a massive positive impact on skills and confidence, as Kathryn Andrews from Big Local Revoe explains in her blog for the news portal 'Nonprofit'. Read more. Spring Events 2017: Save the date! We're starting to prepare for the return of Spring Events - our biggest annual events where residents from Big Local areas across England can meet to learn, share and get inspired. More details are coming soon! In the meantime, get a flavour of what to expect from these 2016 highlights.